The first pictures of the Isis mobile wallet are probably many months away from being released to the public. No, the image on the left is neither from Isis nor endorsed by Isis, but it has merit based on recent public statements from the company. -Open format for payment schemes, banks, credit unions, even transit systems. Jim Stapleton, the new head of sales and account management for the joint venture, was joined by Sarab Sokhey of Verizon, an advisor and lead consultant for Isis, at the Mobile and Transit Payments Summit in Salt Lake City, hosted by the Smart Card Alliance. “We don’t think payment is the value proposition. We believe loyalty, advertising and couponing are opportunities that are necessary, because payments alone won’t get you there,” according to the content-rich article written by Tom Zind which appeared in the NFC Times today. Also, the first payment scheme to partner with Isis is Discover Financial Services. Mr. Stapleton’s comments seem to indicate their willingness to include Visa, MasterCard, AMEX, and other payment schemes. WHether or not these companies choose to compete with Isis or partner with Isis still remains to be seen. 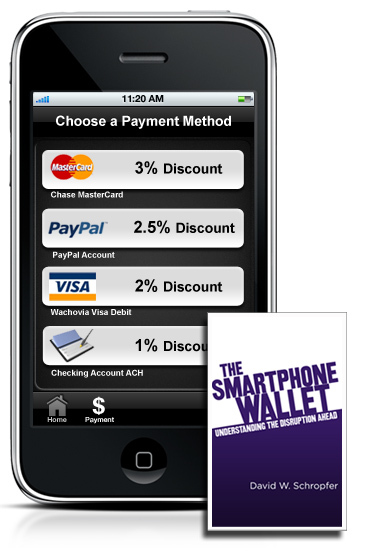 This is a glimpse into one possible future of mobile wallet products. Of course, there are other visions of how these new systems will work, and the reality of these systems when they mature could be, in fact, even more convenient than what is described here. One thing is for sure: the future of mobile commerce, powered by the mobile wallet, is a future of convenience, security, and an empowered consumer. Isis is not the only company to play a key role in this sector, but its focus on user experience and integration into all forms of digital loyalty could be motivate retailers and consumers to give Isis a try. Previous Previous post: PayPal Rolls Out Micropayments- Is Brick & Mortar Next?